Nearly half of the World Bank’s $18 million loan to overhaul Beirut’s airport will be invested in a “fast-track link” to ease congestion and manage passenger flow before the summer, airport sources told The Daily Star Tuesday. 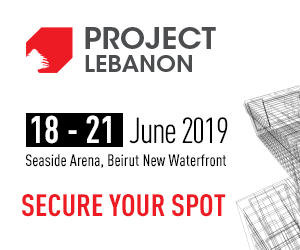 The sources confirmed that the new link would fast-track 1.5 million to 2 million first- and business-class passengers and frequent flyers per year through the main terminal at Beirut’s Rafik Hariri International Airport. They did not provide further details. The project is expected to cost around $8 million. Work to implement the new system, known internally as the “90-day program,” began this month and is expected to be finished before May 30, the sources said. Speaking at the official opening of the airport’s new premium lounge Tuesday morning, Public Works and Transport Minister Youssef Fenianos hinted at ongoing work and said he hoped it would facilitate summer travel for holidaymakers and pilgrims. “The most important achievement for Lebanese people” would be to make sure that they “do not suffer from congestion in the airport’s corridors over the summer period,” Fenianos said during a news conference at the airport. Traffic at the airport has become a hot-button issue, especially after overcrowding, long lines and system failures made headlines last summer. Thousands of passengers were left stranded in September due to a “system failure,” when the departures and bag drop processing systems stopped operating, delaying flights and trapping passengers who had checked in. The $18 million loan, announced October last year, is part of a $200 million loan from the World Bank to finance various infrastructure and development projects in Lebanon. The money “will be used for improving the accommodation of the airport. There will not be an expansion,” Fenianos said at the time. But one source said that the fast-track link was the first step in a “master plan” to improve and possibly expand the airport. Later steps may include converting an old cargo building into a terminal for chartered flights and building a new terminal on the airport’s west wing. Another source said a further $7 million of the World Bank’s funds would be used to invest in generators, extend the ceiling of the arrivals hall to increase the departures area and expand the number of desks for General Security, which operates passport control. The remaining $3 million from the funds may be used to buy new X-ray systems. Based on the recommendations of an audit carried out by the International Civil Aviation Organization from Feb. 6 to Feb. 15, passengers will also not be able to take their trolleys through the first layer of security. Instead, they will have to use a separate trolley provided within the airport, one of the sources added. 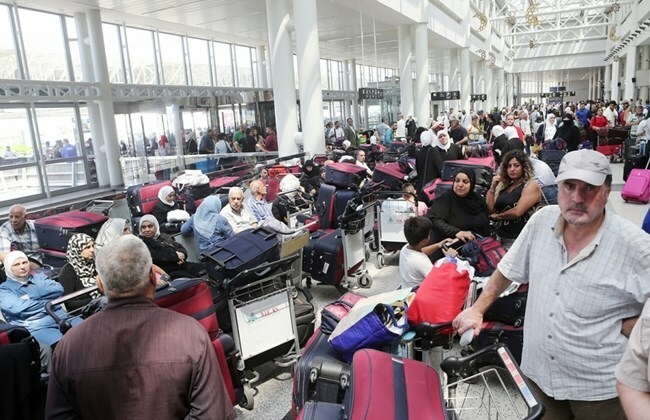 Beirut’s airport has been getting busier, according to statistics released by the Directorate-General of Civil Aviation last month. The numbers showed a 7 percent increase in passenger traffic from 2017 to 2018. The report put the total number of passengers for 2018 at 8,841,966, a 7.37 percent increase compared to 2017, which tallied 8,234,782 passengers.